In July 2015, I made the Wesley Pilgrimage to England, where I visited sites tied to the rise of the Methodist movement and its founders, John and Charles Wesley. In August, I shared with my congregation that I had a life-changing experience while receiving the Eucharist at Salisbury Cathedral. 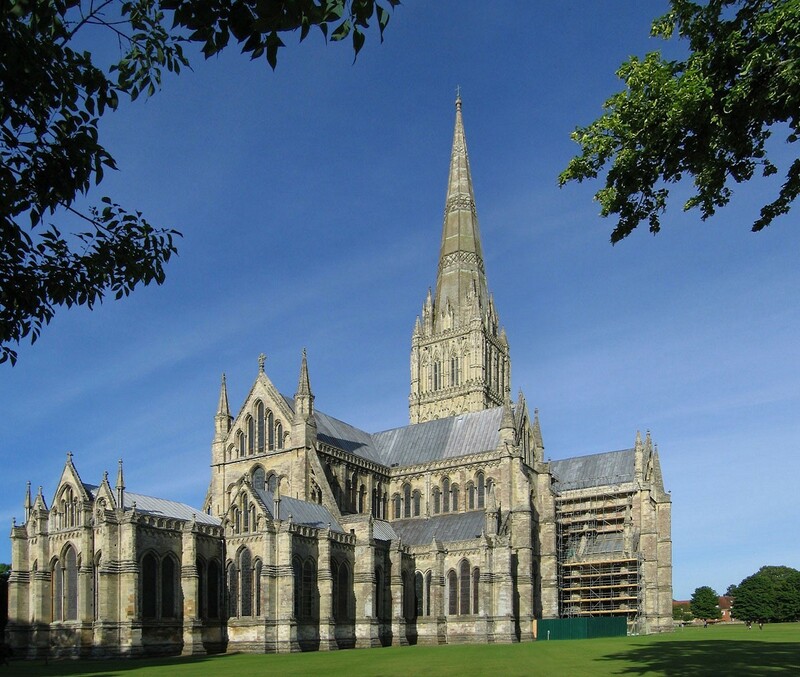 Salisbury Cathedral is an 800-year-old Anglican cathedral that has the tallest spire in Britain; it is home to the best preserved original copy of the Magna Carta. 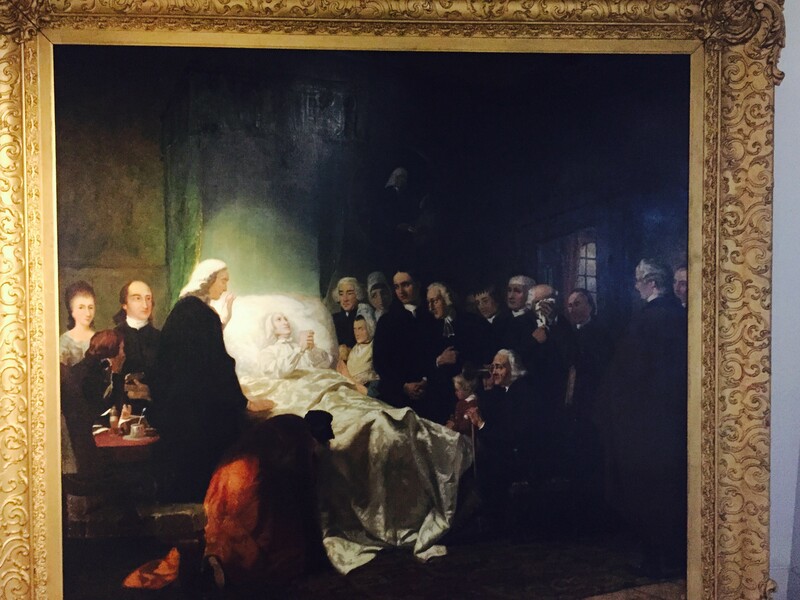 The 2016 Wesley Pilgrimage will be July 11-21. The trip is open to clergy and laity. Scholarships are available. The deadline to apply is Jan. 15, 2016. The registration deadline is June 1.
have been set free!” I was reminded that I am completely loved, accepted, and forgiven by God. After the service, most people went to have breakfast. I stayed behind because I kept feeling my heart strangely warmed once again. I tried to control my emotions, but after the worship service, I cried like a baby. I was grateful for the restoration I was experiencing. Although I cried, my tears were tears of joy. During the pilgrimage, I participated in several workshops in which I was reminded that the Church is always in need of reformation. Just like in the times of the Wesley brothers, The United Methodist Church in the United States is “in the pits,” rapidly declining. Under such a reality, we should seek to become the reformers of this age. For many days, I tried to discern what the words “You have been set free” mean in my life. After all, I am a pastor. I have decided to follow Jesus. Yet, I knew that as I sought holiness, I needed to deepen my spiritual discipline. During the pilgrimage, one of the presenters mentioned that discipline leads to freedom. Perhaps I was free to see how God was inviting me to renew my commitment to my calling and to engage in more focused and intentional spiritual discipline. Only by doing so, will I learn how to perfectly love God, myself, and others. Around the corner from his bedroom is Wesley’s Prayer Room, called the “Powerhouse of Methodism.” It was given this name due to Wesley’s consistent, fervent, and disciplined prayer life in that room. Wesley prayed every morning at 4 a.m. This was another pivotal moment for me. Once again, other pilgrims and I were deeply moved when we stepped inside this small room. Being able to stand in that very room was a great reminder that God wants us to have a more intimate relationship with Him—a relationship that will lead to true freedom. I was reminded of the years in which I would awaken at 3 a.m. every day to pray. Could it be that God wants to set us all free to believe that we have what we need to live a life of consistent, fervent, and disciplined prayer? Of course, there are many ways in which we could do this. What is relevant is to intentionally engage in spiritual practices. These practices will make us free in Christ’s name. This prayer has been used for the renewal of the believer’s covenant with God. I am convinced that God wants more of me and more of you. As John Wesley suggested in The General Spread of the Gospel, the “grand stumbling block” to the general spread of gospel is the “lives of the Christians.” Thus, reformation should begin within us by deepening our relationship with Christ. Yet, reformation cannot happen in isolation. We need to create mutual accountability groups rooted in the practices of Wesleyan spirituality. Wesley said, “The soul and the body make a [person] and the spirit and discipline make a Christian.” Covenant groups help us abide deeply in God and to live missionally in the world. When we help one another to live in the highest standard of Christian living, we understand that the Church is not in need of preservation but in need of transformation. As Dr. Paul Chilcote explained during the pilgrimage, instead of trying to focus on the Church as an institution, we should focus on the incarnation of the gospel through mission. I am convinced that renewal is possible! I see it taking place in my small local church, in which the average worship attendance has grown about 40 percent in the last two and a half years, and where we try to minister beyond the church walls. As a leader in my local church, I have been wondering: How can this renewal be sustainable? How is God challenging you to become part of the renewal The United Methodist Church so desperately needs? God is longing to show us new and exciting things! May God help us to recover our traditions. May we experience a new level of freedom through our spiritual disciple and open our hearts and ears to be attentive to the voice of the Spirit. May we open our hearts to the spirit of renewal needed in the 21st century. So, let’s put God first and witness how God transforms us by warming our hearts through the means of grace.